Here it is, the last Monday of January. Wow, the year just started and the first month is at an end. Time sure is flying by! It being the last Monday of the month can only mean one thing-a new challenge at The Scrapbooking Queen Royal Digi Challenge!! This month's theme is 'Love'. I made 2 cards. 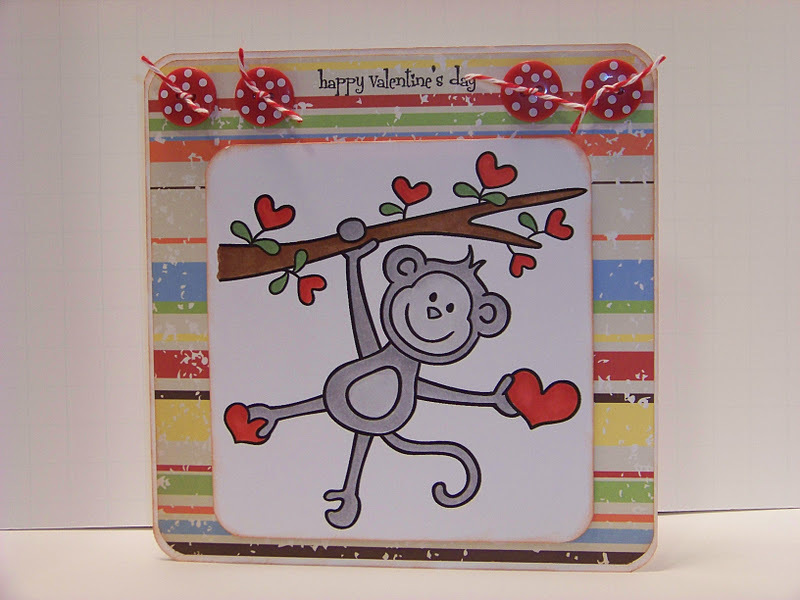 The first one I used a digi from Pink Cat Studio. 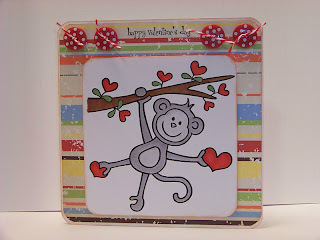 It is called Monkey Valentine. I think it is so cute. I colored him with my Copics. Rounded the corners and popped it up. 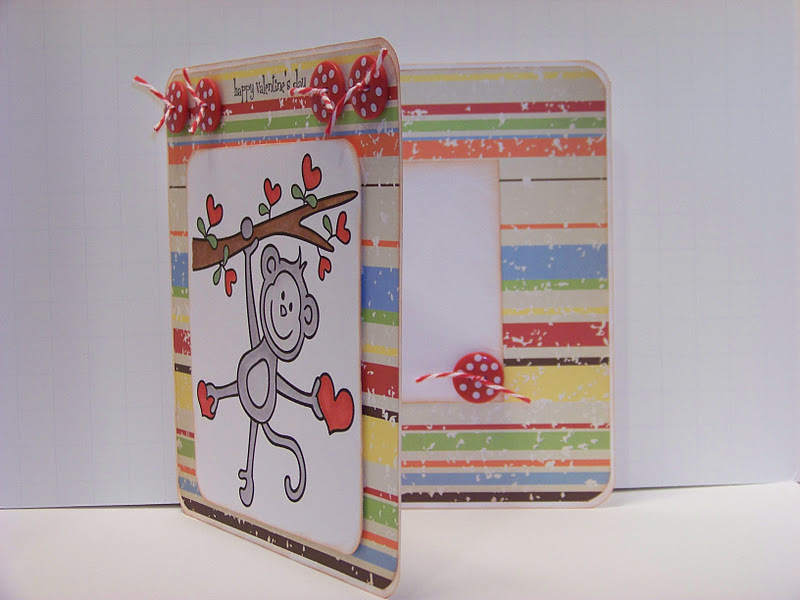 The bg designer paper is from Recollections (Michaels) called Monkeying Around Sock Stripe. The polka dot buttons are some I had in my stash. I think they came from Hobby Lobby. I tied some Maraschino Twine from The Twinery in my buttons. 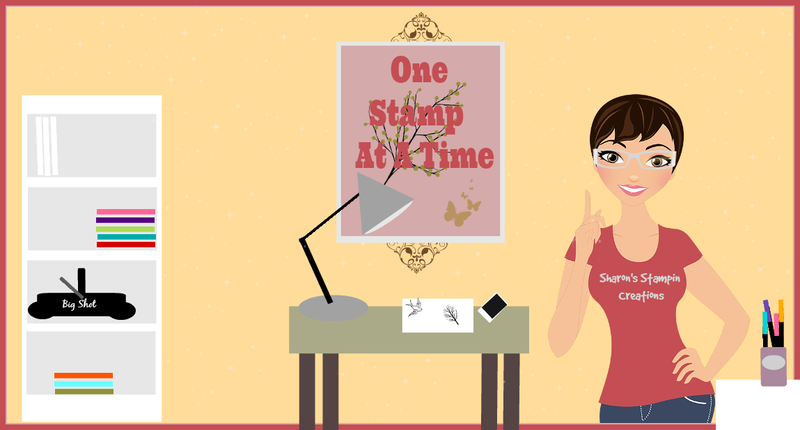 The sentiment is a wooden stamp. 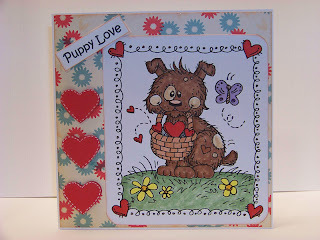 For my second card I used a digi from Meljens called Puppy Love Frame. So adorable!! I again colored my digi with my Copics and rounded the corners. I didn't pop this one up. 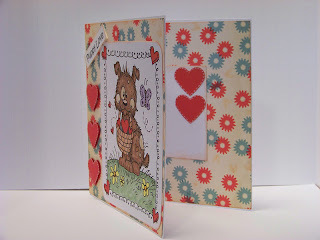 I used a Martha Stewart punch and punched out the hearts. I did some doodling and popped them up. 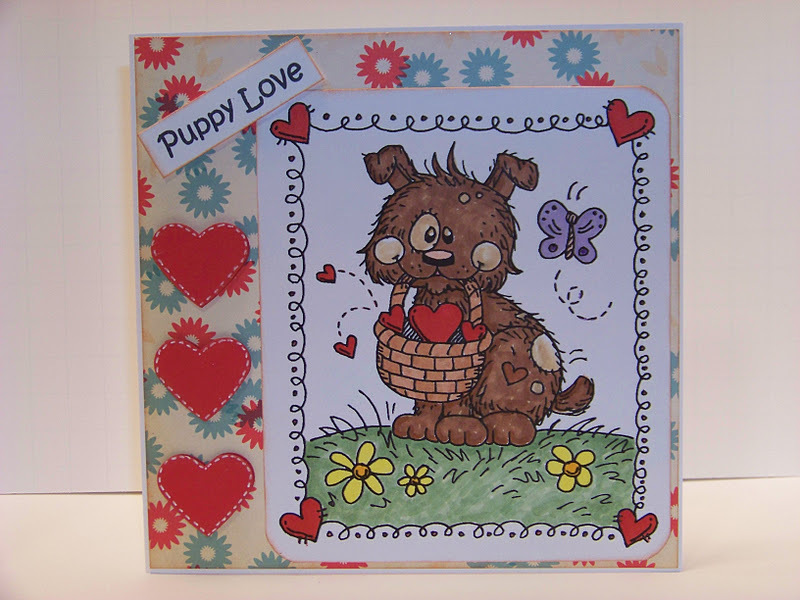 The sentiment is from Cardz TV Stamps. I used the Barks and Bones set. I trimmed it down and popped it up also. 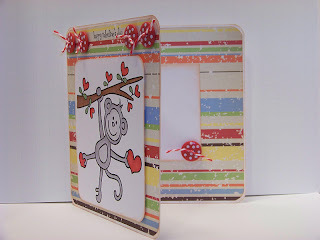 The bg designer paper is from Cosmo Cricket-Togetherness/Reunion.